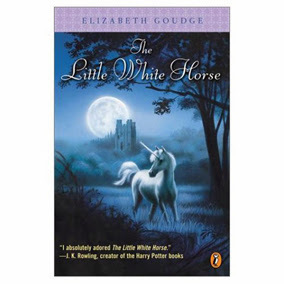 Here is the official Kick Start Post for our March read - The Little White Horse , by Elizabeth Goudge. This month's discussion is being hosted by Stephanie from Simple Things. Below are her introductory remarks. I was introduced to The Little White Horse through my friend Amy at Hope is the Word … she raved about the book so as any good book(-ish) blogger does, I immediately requested it from the library. I read it in January 2013 and remember enjoying it, but also remembering noting that this book needed a reread. The book seemed to me to be part fairytale and part mystery with a dash of magic sprinkled over the top. Enough to lure me in the first time and to whet my appetite for a second, much slower reading. The book tells the story of Maria Merryweather, recently orphaned, who is sent to live with an eccentric (of course!) cousin that she’s never met. Accompanied by her governess Miss Heliotrope and dog Wiggins, she meets one colorful character after another and spends much of the books figuring out the story behind her family home as well as how all these individuals fit together in each other’s lives. No one is very forthcoming on any of those matters, but that doesn’t stop Maria. 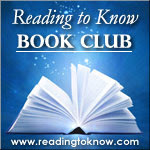 I hope you choose to read along with us and I’m eager to hear what you think of this book! If you are reading along (and/or have already read it) please let us know in the comment section below! My primary county library didn't have it, but the different county's library does have it...Now reserved! I'm in! It's on the end table waiting for to finish my current read. Well I'd love to win. I'm in the same position as Cassandra, but assuming my library gets it to me, I'm in. Like others, I'm waiting for it from my library. I'm excited to read it! I'll be picking it up from my library on Tuesday. I can't believe I've never heard of this book before. It sounds like one I'll enjoy immensely!